Marseille defender Taye Taiwo appears to be sweet on a move away, either to “fantastic” Tottenham or “very good” Atletico Madrid. 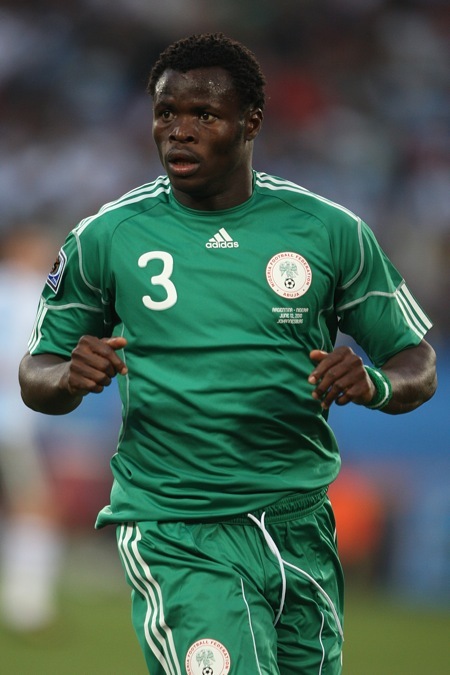 The 25-year-old Nigerian, who played for his country in the 2010 World Cup, is contracted to OM until 2012 but wants out. Atletico Madrid have already had a €5million bid for the left-back turned down. “If I stay in Marseille I want to play week in week out. I am a football player not someone to sit on the bench and get paid,” he told Sky Sports. “My ambition has always been to play at the top level. Spurs are a fantastic team in the best league. “Atletico Madrid is a very good team as well in the Champions League, so I would be interested by those two teams. As a Spurs fan, I’d be happy to see Taiwo come to White Hart Lane, although left-back is hardly a priority – unless Arry Redknapp gets rid of Benoit Assou-Ekotto, who in my view isn’t quite as good as Taiwo – so I wouldn’t want to see us spend more than £6-7m on him. Holy poo stains, I would not want to get in the way of that cannonball. He bangs, he bangs. 1) Next season Gareth Bale will play mostly on the left side of midfield, leaving Taiwo and BAE to scrap it out for the starting left-back position. 2) Redknapp will sell BAE and alternate between Bale and Taiwo at left-back, with Modric/Kranjcar more likely to play on the left wing. 3) Redknapp will simply sell BAE and replace him with Taiwo. Not sure that makes sense, as BAE was quite good in spells last season and Taiwo is probably not enough of an upgrade to make him a transfer priority.